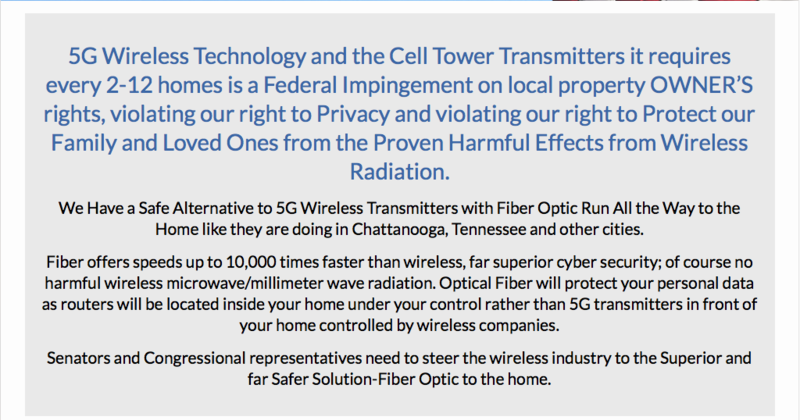 ← 5G CRISIS! 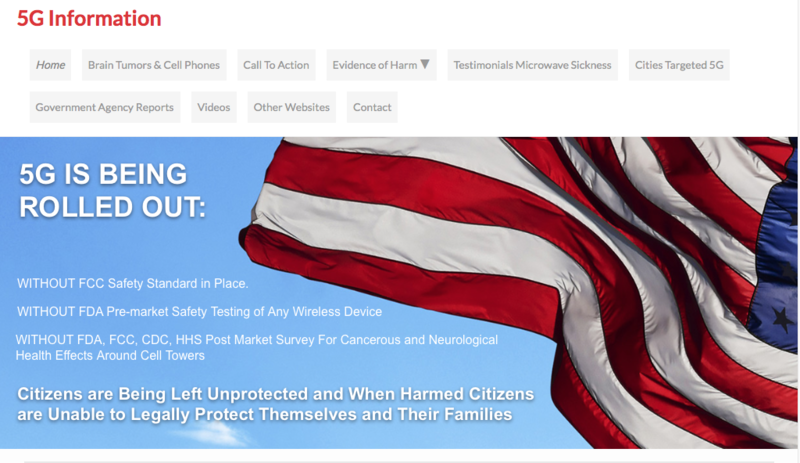 May 15th – DAY OF ACTION ON 5G! 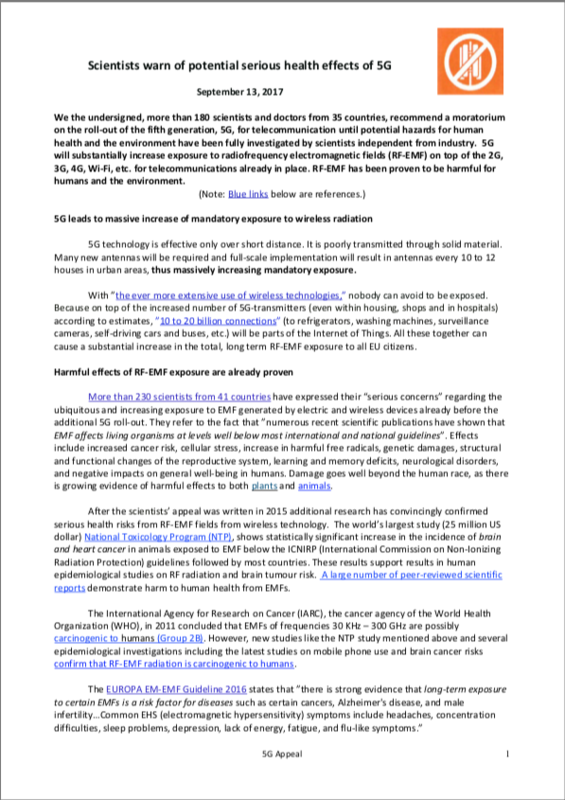 Verizon and AT&T have in their own insurance brochures defined wireless radiation by all of its terms as a POLLUTANT-see links. Congress is on recess and working in their districts now. Ask to meet with the representatives themselves, their legislative director, or Washington DC office liaison. We need to hold our representatives responsible for protecting us from this high tech air pollution. Please go to your local offices. (https://www.govtrack.us/congress/members).